Garry Tallent occasionally also played a snippet of the song for his solo during 10th avenue freeze out on The Reunion Tour. Off-tour on 15 Mar 2012 at Moody Theater in Austin, TX, during an intimate concert following Bruce’s keynote speech at the South By Southwest music festival. 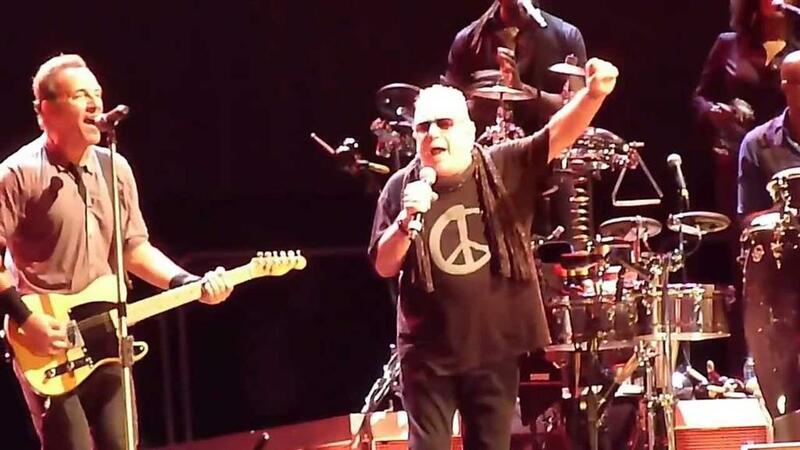 The song was played with the E Street Band and featured a guest appearance by The Animals' Eric Burdon. "We Gotta Get out of This Place", is a song written by Barry Mann and Cynthia Weil and recorded as a 1965 hit single by The Animals. It became an iconic anti Vietnam war song. Barry Mann and Cynthia Weil were husband and wife (and future Hall of Fame) songwriters associated with the 1960s Brill Building scene in New York City. Mann and Weil wrote and recorded "We Gotta Get out of This Place" as a demo, with Mann singing and playing piano. It was intended for The Righteous Brothers, for whom they had written the number one hit "You've Lost That Lovin' Feelin'" but then Mann gained a recording contract for himself, and his label Red Bird Records wanted him to release it instead. Meanwhile, record executive Allen Klein had heard it and gave the demo to Mickie Most, The Animals' producer. 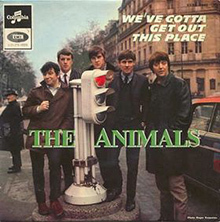 Most already had a call out to Brill Building songwriters for material for the group's next recording session (The Animals hits "It's My Life" and "Don't Bring Me Down" came from the same call, and The Animals recorded it before Mann could. "For some, the Animals were just another one the really good beat groups that came of the Sixties," Bruce Springsteen said at his 2012 keynote speech at South By Southwest. "But to me, the Animals were a revelation. The first records with full blown class consciousness that I had ever heard." The passionate vocals and organ-heavy sound of the Animals was a huge influence on Springsteen as a young songwriter and he fully admits he stole the chords of "Don't Let Me Be Misunderstood" for "Badlands."